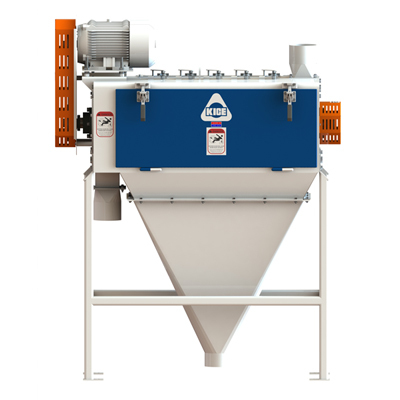 As the Kice Shortflow Mill® began to take shape in 1991, Kice recognized the importance of recovering the minute amounts of endosperm retained by the bran at the end of the milling process. The ability to retain this trace flour can make a marked difference in the bottom line. Drawing on input from millers, Kice designed a machine that was easy to operate and very efficient: the Kice Bran Finisher. 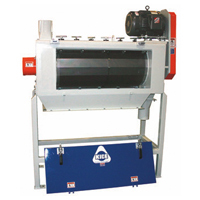 Today virtually every milling company in the U.S. uses the Kice bran finisher in one or more of its mills. 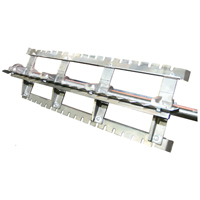 Sanitary Support Frames are available for floor standing installations or ceiling hung installations. Screens are installed separately on each side of the unit for ease of access and service. 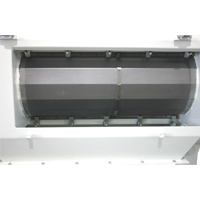 Bearings on each end are heavy duty, self aligning, off-the-shelf double roller bearings. 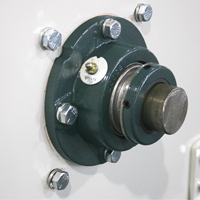 Gasketed Doors are hinged, have simple spring loaded latches and are easily removed. Cast iron rotor is balanced for smooth operation. Beater bars are weighed and match-marked for balance and smooth operation. Suction transitions or vent screens come standard on each unit. 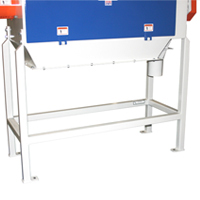 External handles adjust internal vanes that regulate the retention time of product inside the machine.